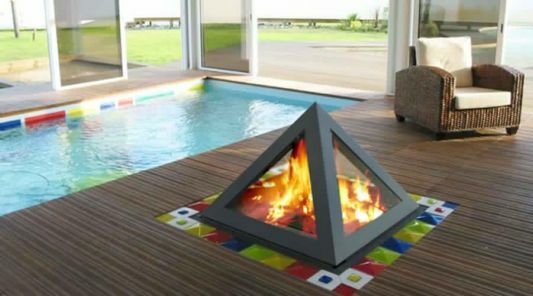 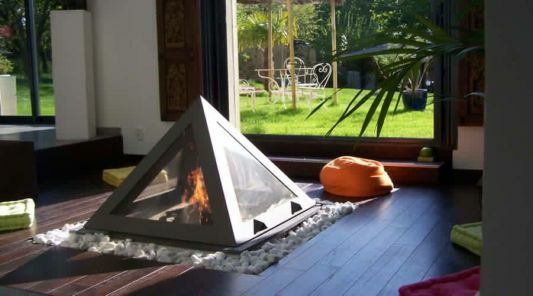 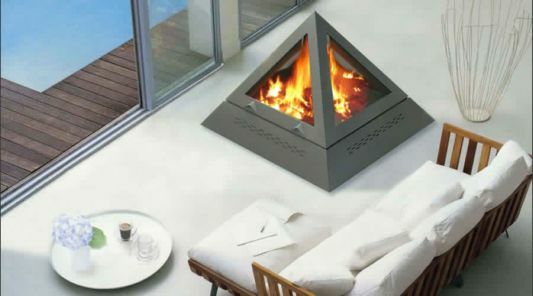 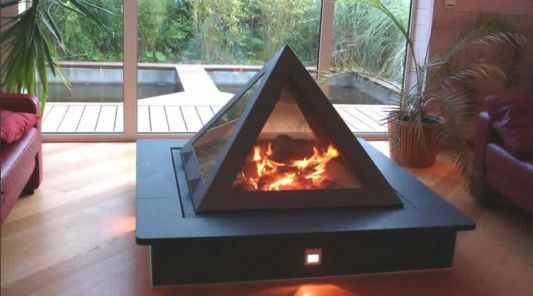 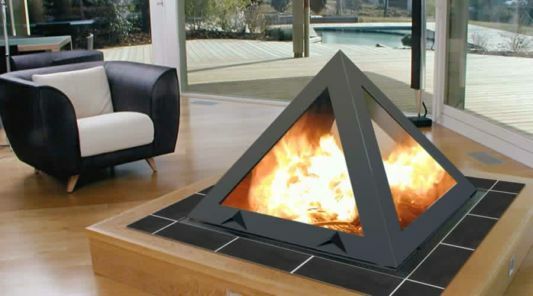 A fireplace with a shape that resembles a pyramid, the unique shape of the fireplace is inspired by the pyramids in Egypt that stood beside the great sphinx centuries ago. 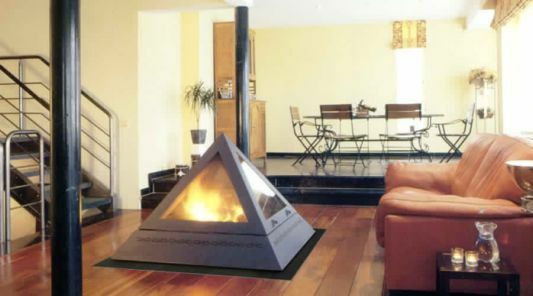 A fireplace that can be placed in the house interior, with a design in creating a lasting form. 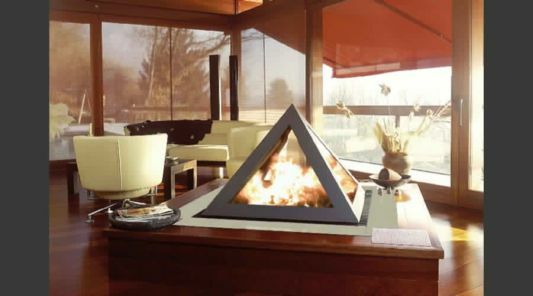 A fireplace is created by minimizing the smoke and ,have a fire with a beauty that can be enjoyed with freedom and serenity. 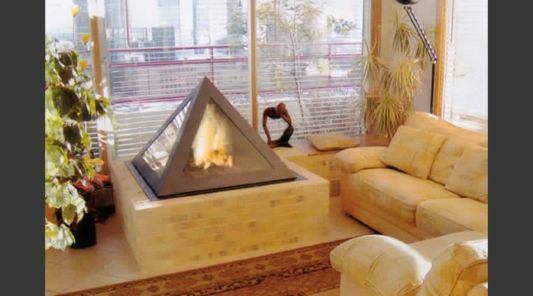 This fireplace can be placed in center sofa in the living room where the family gathered with great warmth. 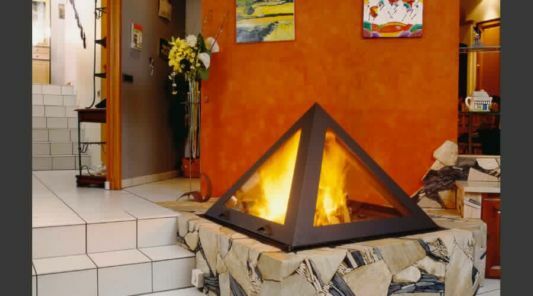 Stiles four tubes hidden behind an attractive cover and evacuate the smoke associated with a horizontal tube with a vertical chimney. 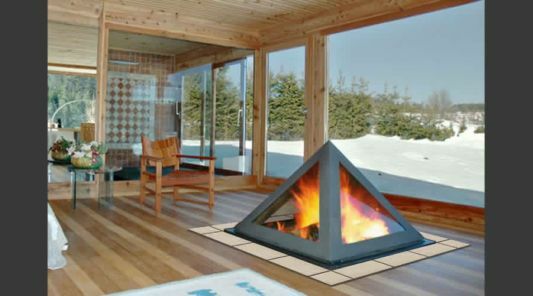 The fire can be seen from all sides by heat radiating from the basic comforts. 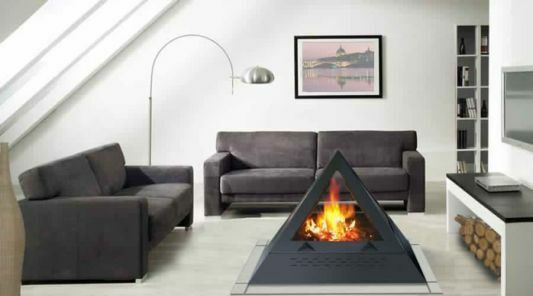 The new concept of smoke evacuation from the bottom, with air vacuum, enables you to freely choose where to place your fireplace: in the middle of the room, tall or in the corner. 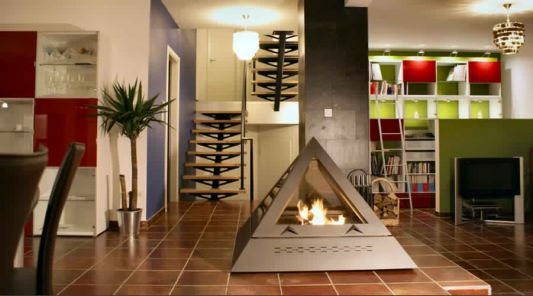 Horizontal ducts can be run on the surface of the land hidden beneath the stage, or under the floor. 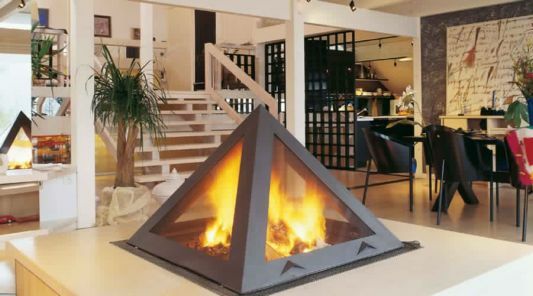 This fireplace can be a choice for your interior decor with a heated room with a full design immortality.